For drivers in Draper looking to drive through Utah snow and other inclement conditions, P-AWS® on models like the 2018 Acura TLX or the 2018 Acura RLX is a great choice. Short for Precision All-Wheel Steer™, this advanced system allows the toe angles of the rear wheels to move independently of the front wheels. 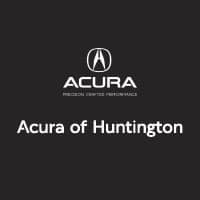 Find out why this system makes the TLX a good family vehicle, as well as a good option when visiting the best shopping places in Long Island, and test it out at Acura of Huntington. If you’re driving around in ice, snow, hail, or other inclement weather conditions in general, the Acura TLX and the Acura RLX with P-AWS® makes it easier for you to do so safely. That’s because of the increased agility and traction provided by this one-of-a-kind drivetrain. So whether you’re heading into Syosset or just commuting to work, P-AWS® is there to help you retain traction and stability on the sometimes slippery Plainview streets. Acura TLX – With an MSRP starting from $33,000*, the Acura TLX is a comfortable, family-friendly luxury sport sedan with a few different powertrain options, including a 3.5L V6 that generates 290 hp. Enjoy access to a wide range of features, from the AcuraWatch® driver assistance package and navigation to available leather upholstery. Acura RLX – At the top of the Acura sedan lineup, the Acura RLX’s starting MSRP is $54,900*, boasting a tremendous range of premium luxury features and a standard 3.5L V6 that’s good for 310 hp. The Acura TLX packages and RLX packages both offer Precision All-Wheel Steer™. You can find the TLX and the RLX for sale near Plainview, NY, at Acura of Huntington. Contact us to experience P-AWS® any questions! 0 comment(s) so far on What is Precision All-Wheel Steer™ (P-AWS®)?